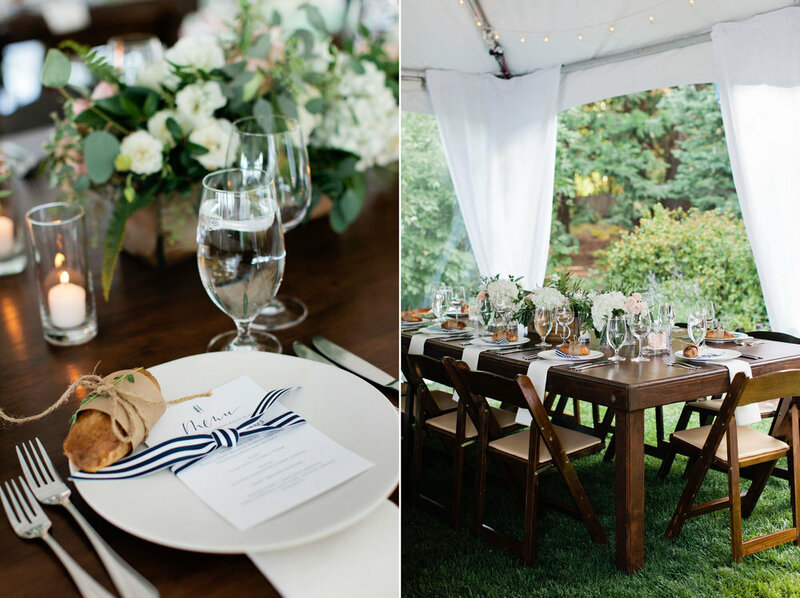 Last summer, we were treated to a super FUN wedding up in Lake Tahoe at the bride’s family’s summer home. This is not just any lake house, it’s truly a little slice of heaven that has been in her family for generations where you can cross a wooden footbridge and walk right down to the water from your Hansel and Gretel mountain home. Add to this magical place Kyle and Bridget who know how to party and our favorite Tahoe wedding planner, Merrily Wed, and you’ve got one incredible wedding. Really, there were so many fun things - just keep scrolling and you’ll see what a blast everyone had celebrating Bridget and Kyle.